All pages we have available from this series measure 14" x 17". 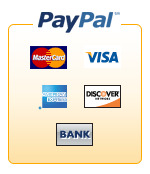 PLEASE NOTE: Adding and item to your Basket helps you easily create a Purchase Request on this web site. You are not asked to enter credit card information when you complete your Purchase Request.